Hello readers, writers, supporters, and other droplets. Anna Percy’s Follow the Stag and Learn to Fly is now available to order, and Issue 10 of our web journal is all ready to go for this Friday, 23 December – it will be our final publication of 2016. The to-do list for January 2017 onwards is several hundred miles long, so please bear with me – I will almost certainly be addressing your query when I get back (this includes book reviews, contributor copies, pamphlet publication, submissions responses, etc). Thank you all for your support of the press in 2016, throughout all the hiccups and changes. 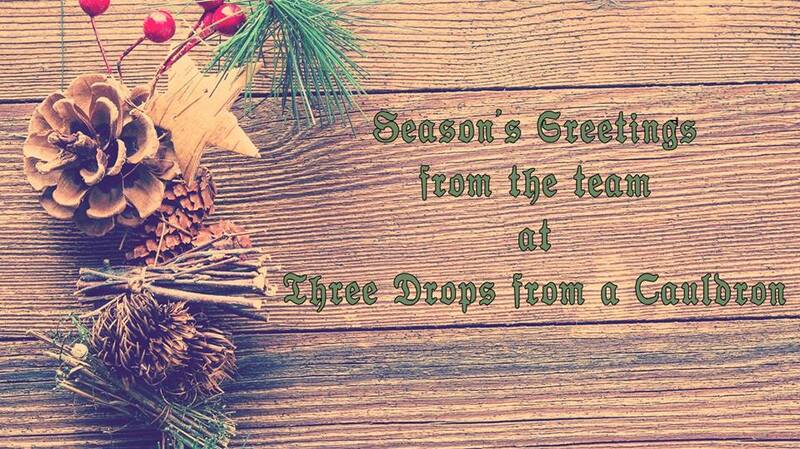 Have a wonderful holiday season. See you next year! P.S. – Have a very Christian Christmas carol with very pagan roots – perfectly blended. If that’s not a Three Drops holiday tune, I don’t know what is… (also, any excuse to share Mediaeval Baebes songs at any time of year works for me).